We specialize in building business-specific software, web apps, and mobile apps. Creating custom software to fit your business can make it much easier to communicate with team members, control your business and manage day-to-day tasks. Developing a business application for your company is a way to potentially automate billing, send tickets to working employees (even if they are working remotely), or simply manage time and schedules within any department or your company as a whole. Looking for a new way to better respond to customers, reach out to them, or allow them to contact you? 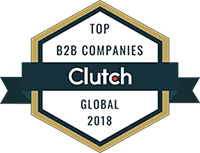 Want to boost your marketing efforts while keeping the line of communication open to all individuals you work with or have hired as employees? Consider custom business software for both Android and iOS. Develop an innovative marketing application that suits your business, target demographic, and the needs of potential consumers who show an interest in your brand and what you have to offer. 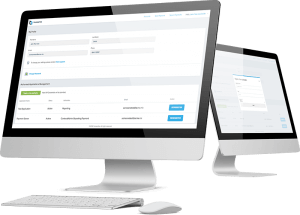 Ultimately, building a custom business web application is a way to reduce overall costs by increasing productivity, efficiency, and overall communication with all of your employees and customers simultaneously. Building a business application has plenty of perks–from better efficiency for your company to improved communication efforts within your teams, business apps with your brand in mind are extremely valuable. Business applications that represent companies and brands help boost reputations while building loyalty from followers, readers, and customers. Having a business application ready for your users is a way to solidify your company’s name within any industry while optimizing the reach you have when sharing business news, information, or details regarding sales and product releases. Whether you are seeking a new business app for internal communication abilities or an application that provides additional outlets for managing and tracking sale data, our senior programmers and developers at Essential Designs are ready to take on the challenge. Business applications have an array of uses and purposes, depending on your vision as well as the needs of your company or the brand you represent. Our senior programmers and developers are experienced in providing our clients with multiple courses of action and methods to develop each project they have in mind. With our programmers and developers having expertise in the most popular and trending languages today, taking on a new application for a client is always exciting. Our teams enjoy working individually with clients and building web applications from the ground up. Using ASP.net, Java, C#, Python, and PHP allows our developers to make the most out of any web application you desire, whether the application is to be used by team members and employees only or if you are looking to expand your reach with potential customers. At Essential Designs, we provide custom business software that has been thoroughly tested and implements a myriad of features and functions based on each clients’ needs. Our experienced programming team love tackling new challenges and concocting new methods of developing and launching successful web applications on all platforms (including Android and iOS). Popular types of web applications for businesses include data tracking, tracking sales, and easier communication within team members or those utilizing your application individually. Streamlining and automating sales and billing cycles is also possible with a uniquely-developed web application to fit your current business model (based on your consumer base and needs). While developing a unique web application requires an investment, it is ultimately extremely valuable when attempting to scale your business or hire new remote and on-site workers. 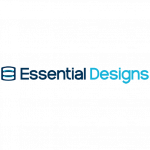 Essential Designs has worked with hundreds of organizations to create custom business software, ranging from Honeywell and TECK to the creation of the Evergenius Marketing Platform. We understand what it takes to create successful business web applications and work individually with each of our clients, striving for perfection. We have worked with hundreds of marketplace applications and types of business software for a variety of companies, giving us a leading edge over the competition while guaranteeing satisfaction and high-quality results. Custom is often cheaper than off-the-shelf licensing fees!